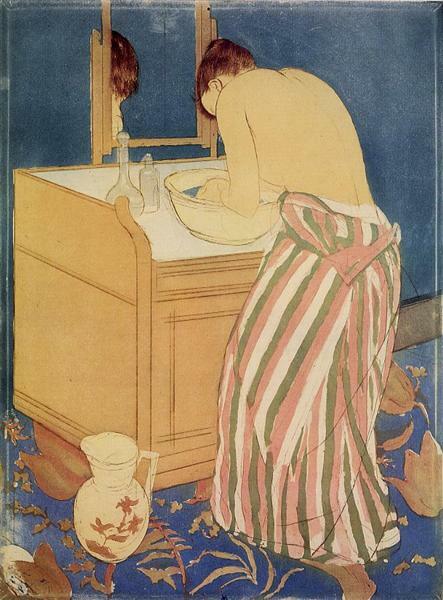 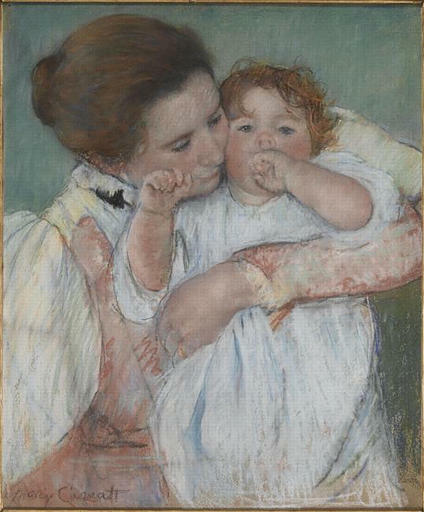 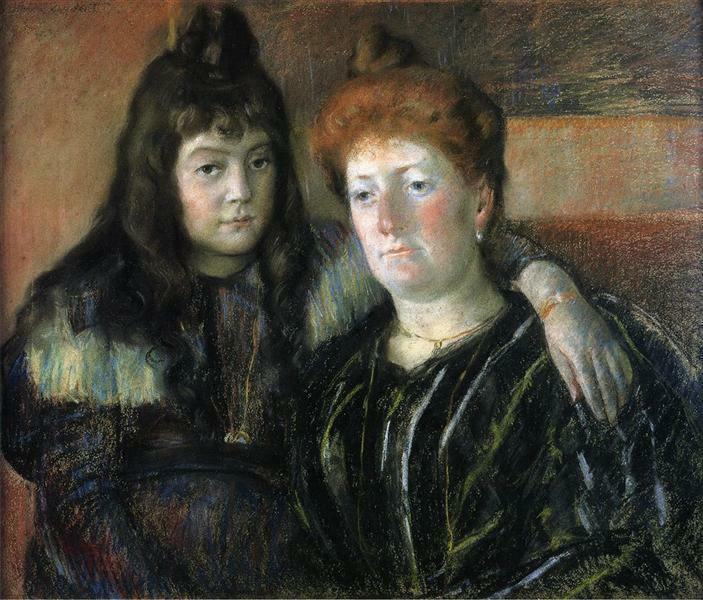 Mary Cassatt’s most recurrent themes were women out and about in society or in the privacy of their own home with their children, or spending time alone. 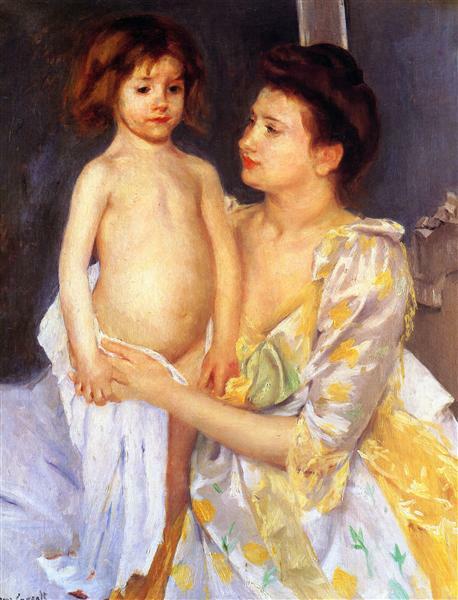 By the 1890’s, she had settled primarily on painting mothers and their children, or children alone. 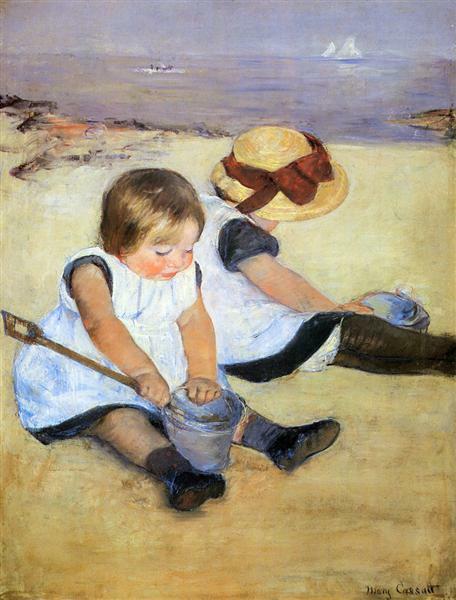 The themes of children and childhood reflected Cassatt’s deep affection for her family, including many nieces and nephews. 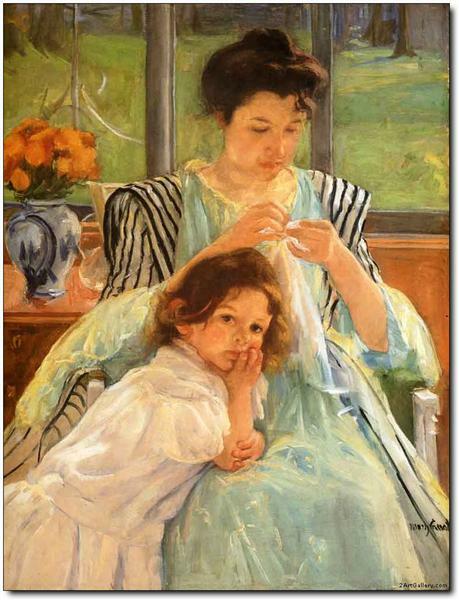 Young Mother Sewing depicts a young mother, intently sewing, as her small child carelessly flops onto her lap. 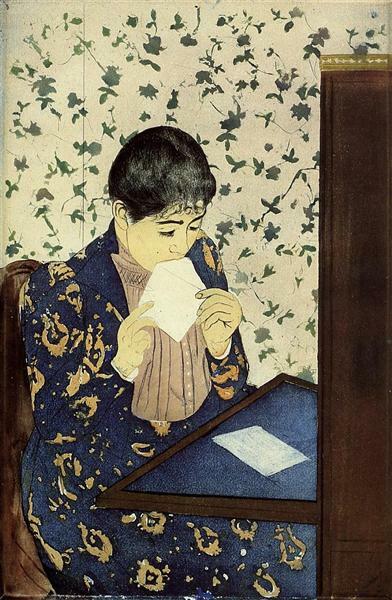 Undeterred, the mother continues to finish her work. 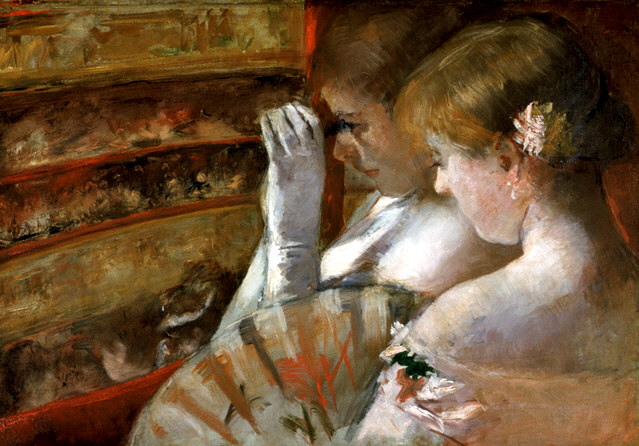 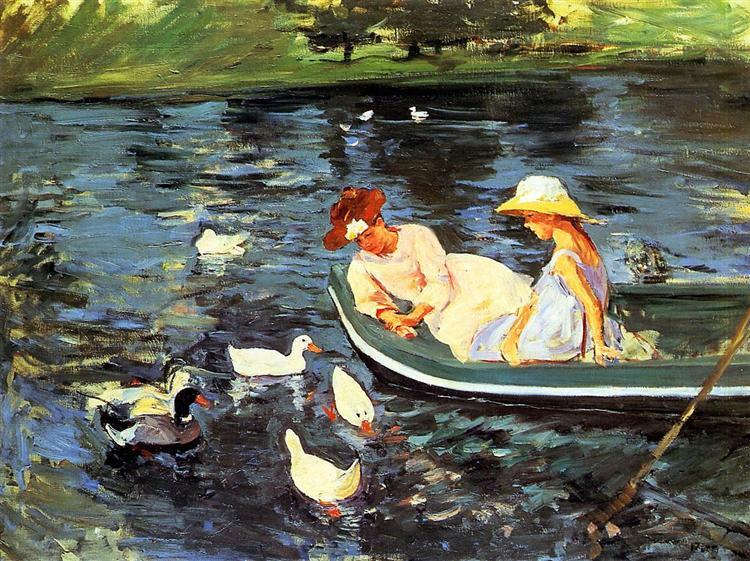 The painting was set in the conservatory of Cassatt’s home in Le Mesnil-Theribus, Oise, France.